Alejandra Garcia Prieto and her two children have been living in Canada for the past three years, where her permanent residency had been denied because her son 13-year-old son has Down syndrome. 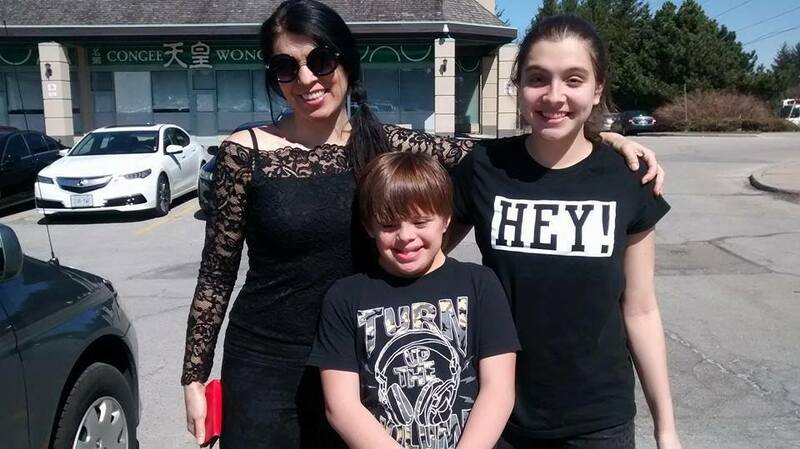 QCOSTARICA – A Costa Rican family is forced to leave Canada, three years after living in Toronto, because Canadian immigration officials have refused to give the family permanent residency because their 13-year-old son, Nico, has Down syndrome. Canadian officials say the cost is too much of a burden on taxpayers. According to a report by CBC News, Felipe Montoya and Alejandra Garcia Prieto have been trying to get permanent residency in Canada since they first moved to Toronto three years ago with their two teenage children, so Montoya could teach environmental studies at York University. This is not the first time Canada denied residency or barred entry to people with illnesses or disabilities. While Nico is too young to really understand what’s happening, their 17-year-old daughter, Tanya, believes what’s happening to her family is unjust, according to Garcia Prieto. All four family members will be moving back to Costa Rica in June, but Montoya plans to keep discussing the issue publicly. For this Costa Rica it is “hard to understand”, but not surprising. “We field for the residency three years when we came to Canada, the lawyer warned us that it was very possible that we would be rejected for the condition of our son. The lawyer said that is common to reject residences for the deaf, blind, autism and Down syndrome because they generate excessive costs for the state,” Nico’s mother told La Nacion. The couple told CBC News that this is at odds with the Canadian Charter of Rights and Freedoms, which prohibits discrimination on the basis of disability. Garcia Prieto said friends and family back in Costa Rica cannot believe Canada would have such backwards rules.